Bored of Giving Assessments? - Use Board Games! - Be your best teacher! I still love playing board games in my “free” time (ahem what free time – I’m a teacher?! 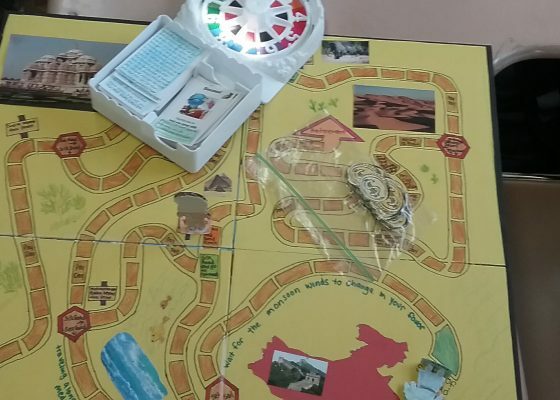 )… To re-kindle the love my students once had as children of board games (and school in general), I like to motivate them towards the end of the semester with a new form of assessment – create their own board games. Students can be as creative as they want. For the most recent assignment I had them create games around the theme of “trade”, but you can choose any topic you like! You can suggest a game type (monopoly, apples to apples, candy land, operation etc.) and then make sure the students craft directions, game pieces, and board questions. I grade the students based on group teamwork , use of key terms, creativity, uniqueness of the game and the organization of the game itself. On the due date we go around the room and play the games to ensure they are playable. Check out some of the samples below. Happy gaming! Next Post It is Teacher Appreciation Week! I’ve done this assignment assessment too. I’ve used board games but find that Quizlet, Bingo, and Kahoot work better for getting all students engaged. Another fun option is Telestrations (buy four games and put students in groups) and Banagram for creating words from class. So glad you have tried to mix up your assessments too! Love the additional suggestions for the online games, I enjoy those as well. I haven’t tried telestrations, I will check that one out. But sometimes some good old fashioned board games get them into the nostalgic spirit and away from all of the technology they are regularly immersed in! It is definitely fun to get the students out of the old pen and pencil routine for assessments!